Publication: Fl. Bor.-Amer. 1: 27. 1829. 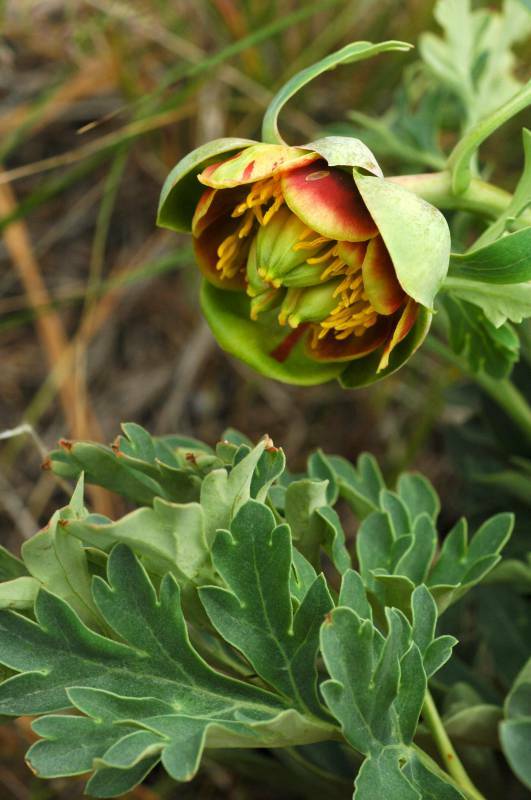 Notes: FNA8: "Paeonia was long included in Ranunculaceae or was associated with Dilleniaceae. Angiosperm Phylogeny Group (2003) placed Paeoniaceae in Saxifragales. Reports of Paeonia brownii from Canada evidently stem from early confusion between Vancouver, British Columbia, and Vancouver, Washington (H. J. Scoggan 1978-1979, vol. 3). The type of P. brownii was collected on Mount Hood in Oregon, about 75 kilometers from Fort Vancouver (now Vancouver), Washington, which was a base for the collector, David Douglas."